The fact that I am in love with food is nothing new. We all love ice cream and we all love breakfast. In fact, we even told you about our food secrets in cities like Stockholm or Amsterdam. However, out of all the different dishes, burgers are on a different level for me. I L-O-V-E burgers. But who doesn’t, right? 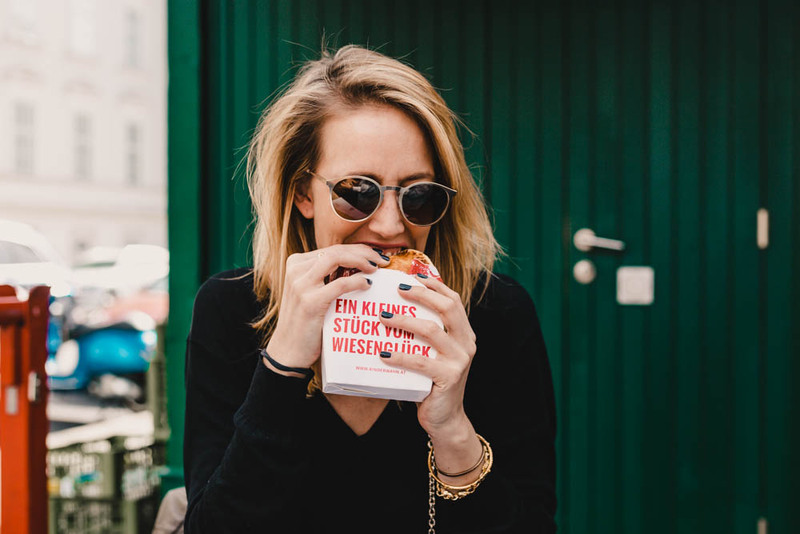 Emma looooooves the burgers from Weinschenke. Even though she has almost tried every single burger in town, those freshly made ones are her favourites. Btw, their buns are also freshly baked and the sauces are homemade. Yummy! 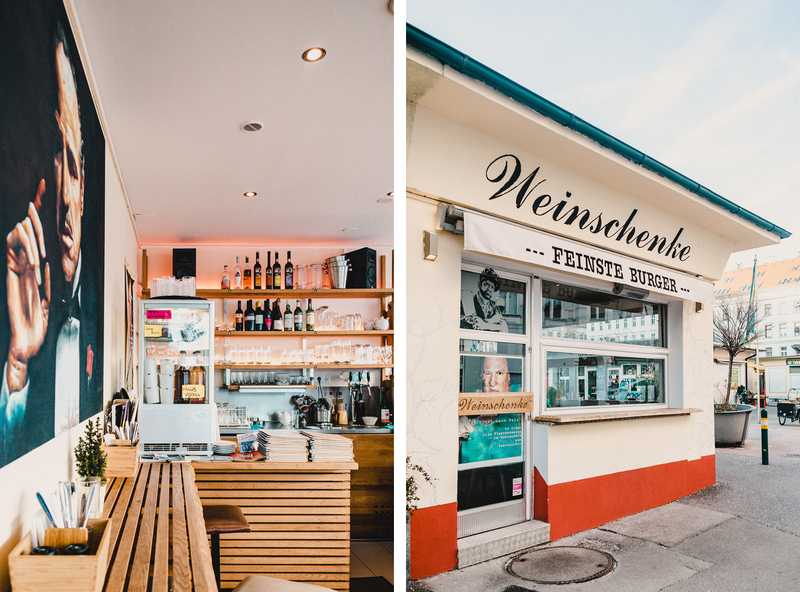 Other specialities at Weinschenke are… their homemade vodkas. Only for the brave ones though. Besides this, they also have some really impressive sets of art pieces that you can enjoy while visiting. 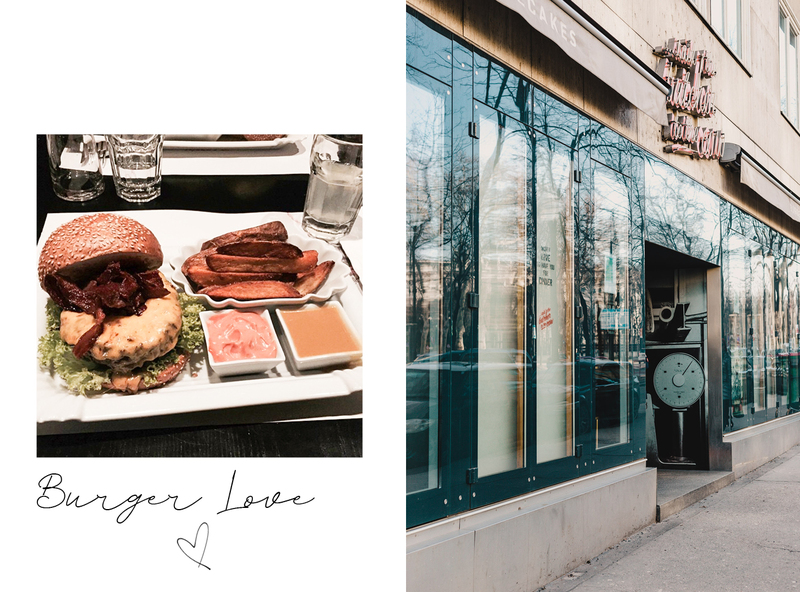 Emma’s favourite: DER Burger is her secret pick. It comes with practically everything they found in the kitchen; Camembert de Normandie, Beetroot, Honey-Mustard-Sauce, tomatoes, freshly grated horseradish, bacon and red onions. Caro’s favourite spot to have a burger is Said the Butcher to the Cow. 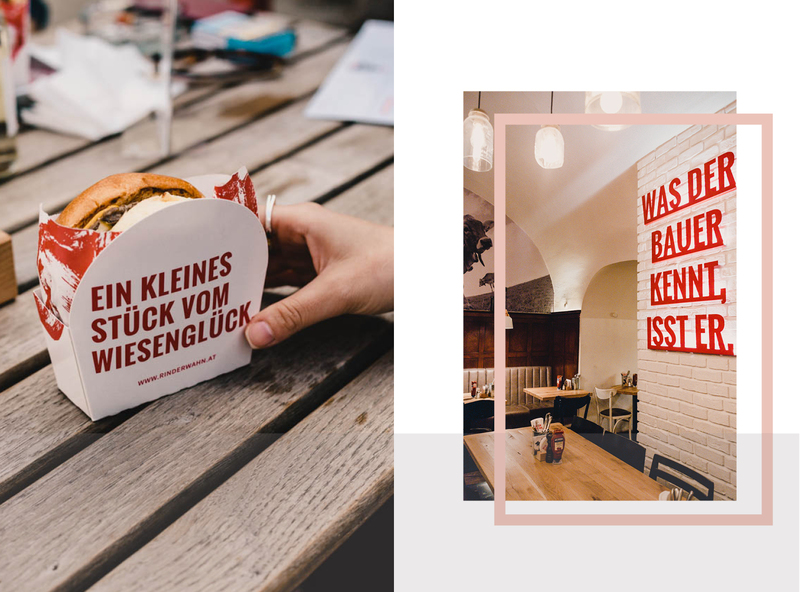 This restaurant is located in the Vienna’s first district, but their soul must be somewhere in the USA because they are all about burgers, gin & cheesecakes. I won’t complain. 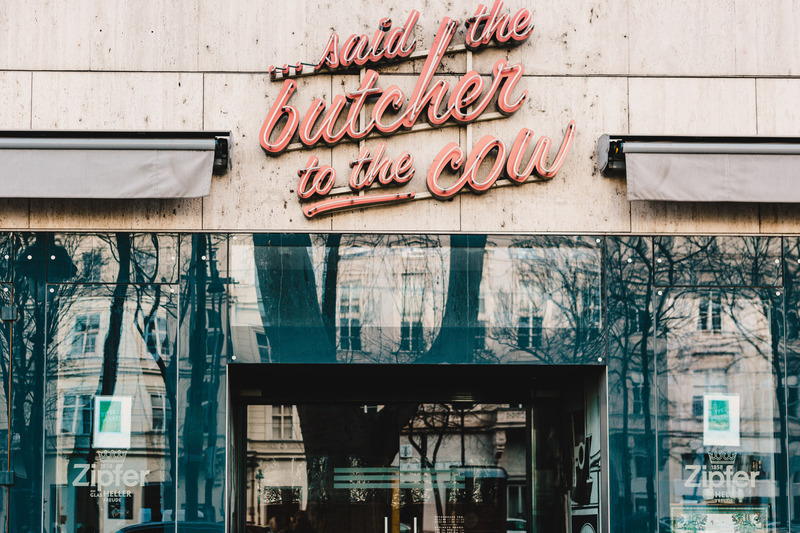 Other specialities at Said the Butcher to the Cow are… besides the creamy cheesecakes? Their Gin & Tonic. If you go into their menu, you will find three full pages dedicated to all their special types of Gin & Tonic. So, this place is also perfect for some after work drinks. Caro’s favourite: She goes for the classic of the classics. Very basic, very American too. Cheeseburger is the one she usually goes for. Made with sesame bread, cheddar cheese, onion and tomato. Tati likes going to the Beaver Brewing Company for her burgers. 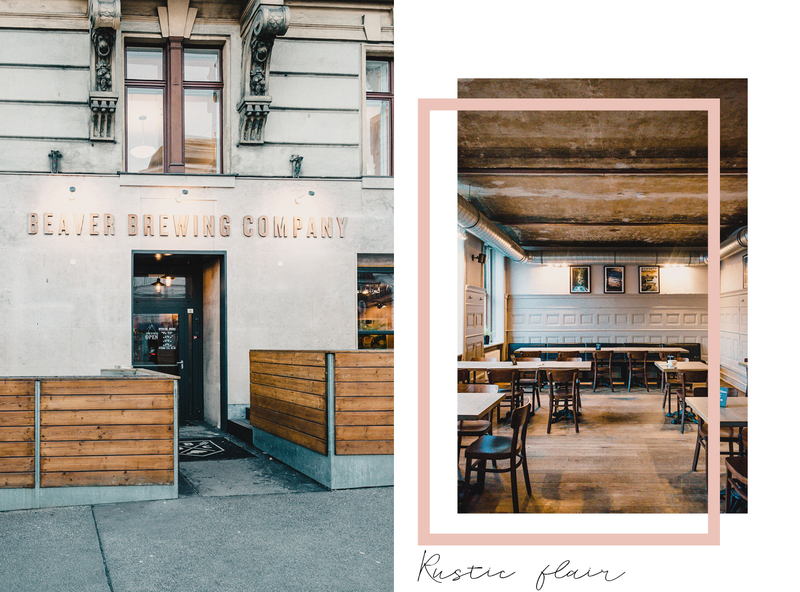 This is a small brewery and in summer you might be able to sit outside, but their interior is worth going in the winter. Nice and cosy. This brewery doesn’t only serve food though, as its name well explains, they also have their own crafted beer. So, if you are a beer lover, this might probably be the best place to go for a juicy burger. Other specialities at Beaver Brewing Company … once again, anything coming from the USA and that can fall into the BBQ category really. They offer plates to share, Buffalo Chicken Wings (very hot! ), onion rings, honey style spare ribs and of course… Mac N’ Cheese (not from the BBQ of course, but still good!). Tati’s Favourite: The Sweet Batata Burger. That means no meat, but still delicious. And no. She’s not vegetarian or vegan. She just loves the whole combination. As for me, I love any burger (and eat way too many throughout the week! ), but the ones from Rinderwahn drive me especially crazy. They opened the Kiosk at Naschmarkt which is perfect in summer or for a takeaway. Tho’ for lunch or dinner, I prefer to go to the restaurant in the city. Other specialities at Rinderwahn … Their different milkshakes. As a dessert, you can add as many toppings as you like. Including bacon! Pssst… you can also go for the “hardshake” which means adding an extra of Bourbon, Rum or Baileys to your milkshake. My Favourite: The Saftige Elsa Burger including; Emmental cheese, grilled onions, homemade mayo and mustard, salad, tomatoes and pickles. Besides this burger, you will not want to miss the Kalorien Wahnsinn – don’t ask, just order! Special Favourite … in Munich! Cosmogrill (Maximilianstraße 10, 80539) is by far one of the best burger places I have EVER been to. It is in Munich, and I cannot explain the juiciness of that piece of meat. Simply perfection in the shape of a burger. My choice is usually the ZiegenKäse Burger. Served with caramelized honey goat cheese, peppers, dry tomatoes and rocket salad. So tasty! … OK bye, having a burger now!! Heute geht’s um das Thema “Burger”. Oh wie sehr wir diese Kalorien-Bomben liiiiieben! Und natürlich haben auch wir da unsere liebsten Lokale in Wien… und ein Germany-Special. Da ist die “Weinschenke” am Karmeliterplatz, an der Franzensgasse 11 oder an der Siebensterngasse 31. Hier überzeugen vor allem auch das frische Brot und die hausgemachten Saucen. Besonders empfehlenswert ist DER BURGER. Nahe der Oper (Opernring 11) gibt’s das “Said the butcher to the cow”. Hier dreht sich alles um Burger, Gin und Käsekuchen – SEHR amerikanisch. Die Auswahl an Gin & Tonics ist gewaltig… und verdammt gut. Gemütlich präsentiert sich die Beaver Brewing Company (Liechtensteinstrasse 69). Nicht nur die Burger dort sind gut, sondern auch das selbst hergestellte Bier sowie die große Auswahl an BBQ-Produkten. Besonders gut schmeckt der Sweet Batata Burger. Unbedingt zu empfehlen ist auch der “Rinderwahn” (Weihburggasse 3 oder auch im Kiosk am Naschmarkt). Neben saftigen Burgern stehen sie für die tollsten Milchshakes. Den “Saftigen Elsa Burger” sollte man auf keinen Fall verpassen. Noch weniger den “Kalorien Wahnsinn”. 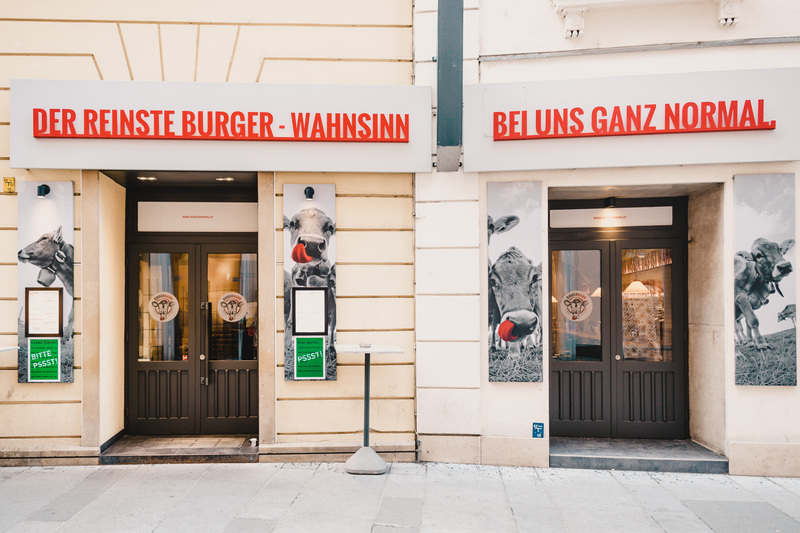 Die beste Burger-Weihestätte fand ich allerdings in München: den “Cosmogrill” (…). Da kann ich euch den “ZiegenKäse Burger” sehr ans Herz legen. YUMMY! Wer kennt’s?